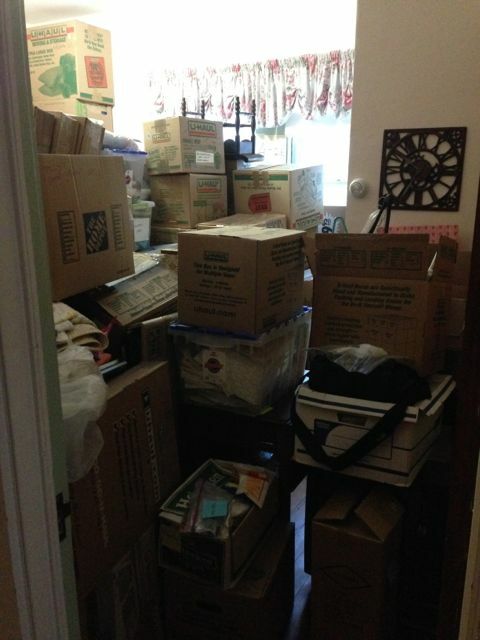 It helps to imagine a brighter future when you’re feeling swamped, as I am with these boxes! Today we begin to work on the Box Room (named so because this is where we’ve consolidated the estate boxes that were moved from my family home on November 13, 2013). We will spend the next nine organizing sessions creating a walking path to the windows, and by March 15, I hope to see clearly through the windows from this doorway!